An exquisitely calm shade of pale blue is the ground to this resist print of stylized flowers and foliage. Printed onto a pure linen base cloth. 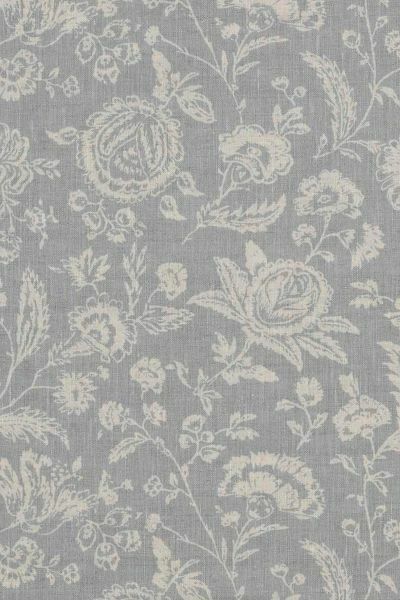 A highly versatile and charming print. Please note that it takes approximately 4 weeks from confirming your order for your fabric to be ready to dispatch.